An absorbing narrative of the ultimate bucket list! 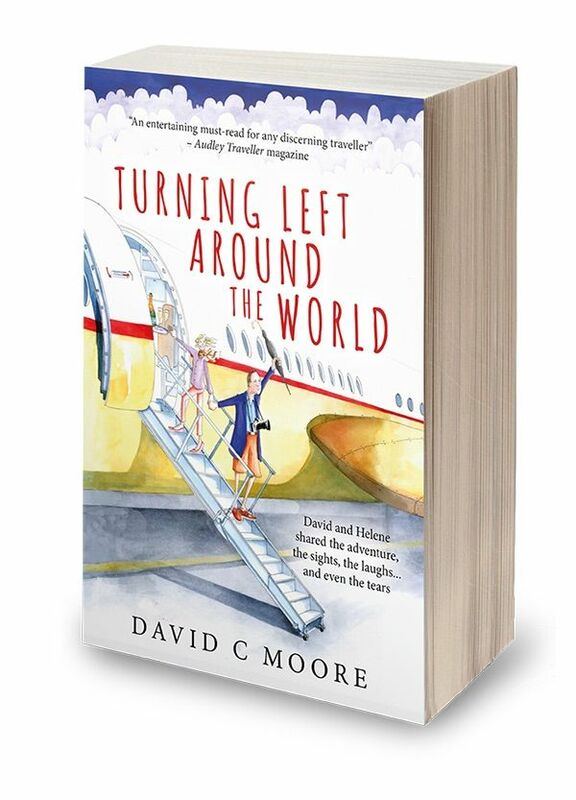 Turning Left Around the World by David C Moore is an informative, entertaining account of the author’s 10 month travels around the world with his wife, Helene. The book’s title is a twofold pun: (1) traveling west from London and (2) turning left when entering the plane on their 15 major flights in order to travel in business class. Their journey starts with a large map and push pins, each placing pins in locations where they had always wanted to visit in order to plot out their route. The book outlines the 15 countries that they travel to with 100 photos illustrating their adventures. Highlights include the wildlife on the Galapagos Islands, the breathtaking vistas of Machu Picchu, the jungles of Myanmar, and a wealth of “Magic Kingdom Moments”, describing moments when Helene is overcome with emotion. Live vicariously through David C Moore as he shares his once-in-a-lifetime trip in Turning Left Around the World.